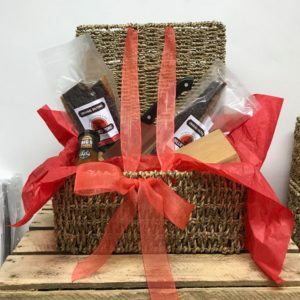 We have created a Hamper with some of your most loved products. 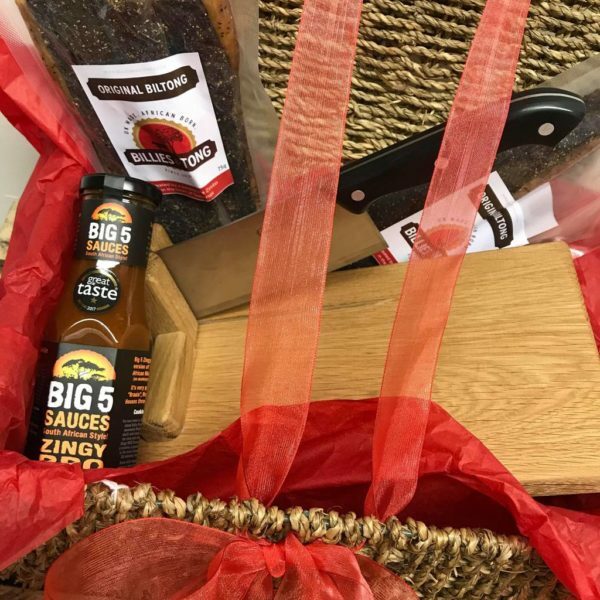 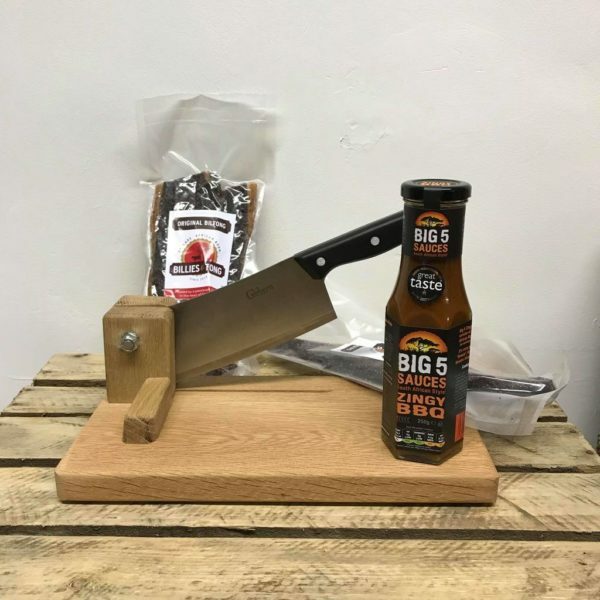 This Hamper contains 2 of our now infamous Biltong Slabs, 1 bottle of the delicious Big 5 Zingy BBQ Sauce (Monkey Gland Sauce) and 1 of our Solid Oak Cutters. 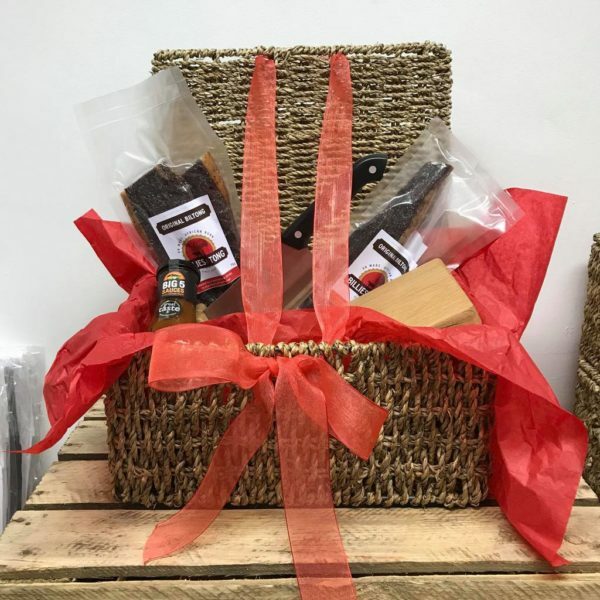 Each Hamper is packaged with Red tissue paper and tied with a Red organza bow. These are the PERFECT gift for any biltong lover.